An Irving, Texas-based charter bus operation that illegally operated 10 unsafe motorcoaches to transport perhaps as many as 500 passengers from Dallas to Philadelphia and back for Pope Francis' September 2015 U.S. visit, has withdrawn its appeal of a November 2015, order by the Federal Motor Carrier Safety Administration (FMCSA) to cease all interstate and intrastate operations as an imminent hazard to public safety. 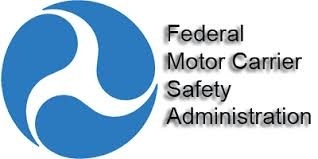 Shahzad Chaudhry, and his motor carrier companies including HME Executive Coach Inc. and Exec Coach Inc., were ordered to cease commercial passenger transportation services in November 2015 when FMCSA served an Imminent Hazard Out-of-Service Order on the companies. The order also put all of Chaudhry's buses out-of-service. On February 4, 2016, Chaudhry and Executive Coach withdrew their request for an administrative review of the order and their case was then dismissed. According to the carrier's registration data last updated in 2013, Shahzad Chaudhry operated 43 vehicles and employed 30 drivers. The carrier is reportedly seeking to sell its fleet of vehicles. Although Shahzad Chaudhry's USDOT operating authority had been suspended in February 2015 for the company's failure to comply with a 2014 FMCSA settlement agreement that included failure to pay $14,670 in previously assessed civil penalties, Chaudhry accepted payments in June and August from various church organizers in the Dallas area to provide round-trip transportation to Philadelphia covering the period of Sept. 23 to 26, 2015. At least two of the motorcoach drivers did not possess valid commercial driver's licenses. All drivers exceeded maximum on-duty and driving time limitations designed to prevent fatigued driving. On one of the motorcoaches, the driver became so fatigued that a passenger was permitted to take over control of vehicle (while the motorcoach slowed but was still moving). On another of the motorcoaches, passengers took turns talking to the driver and providing him with snacks to keep him awake. Several drivers drove the entirety of the approximately 1,300-mile trip, lasting at least 20 hours. During the journey, two motorcoaches brokedown. In one instance, the driver and a passenger "fixed" an engine turbo using aluminum wrapping foil. In another instance, a driver noticed a wheel with multiple missing and sheared-off lug nuts. The vehicle was taken to a repair facility in Tennessee where cracked wheel rims were also discovered and had to be replaced; a passenger had to pay for the repairs. As part of the investigation, 12 of Chaudhry's 14 motorcoaches were inspected. In all, a total of 28 out-of-service violations and 86 other serious safety defects were discovered; 11 of the 12 vehicles were placed out-of-service and out-of-service stickers were affixed on their windshields. A few days later, an FMCSA safety investigator returned to the lot where the motorcoaches were parked and observed that all the out-of-service stickers had been removed and thrown into a trash can. Texas DPS personnel subsequently replaced the out-of-service stickers on the vehicles. In its imminent hazard out-of-service order FMCSA alleged that Chaudhry's continued operation, despite the February 2015 out-of-service order, and its use of unqualified drivers and unsafe vehicles, substantially increased the likelihood of serious harm to drivers, passengers and the motoring public. As a result of the October 8 investigation, FMCSA issued the November 12 imminent hazard out-of-service order in which it alleged that Chaudhry's continued operation, despite the February 2015 out-of-service order, and its use of unqualified drivers and unsafe vehicles, substantially increased the likelihood of serious harm to drivers, passengers, and the motoring public. The November out-of-service order remains in effect. To view a copy of the imminent hazard out-of-service order, click here.